Bitcoins are making the headlines these days; you must have come across the entire buzz about this new digital currency. Are you unsure whether to buy these and make some money? If yes then keep reading on as we guide you with the Bitcoins basics and trade. We bring for you various ways in which you can buy Bitcoin from iPhone, earn on it, make your own Bitcoins and selling these on a profit. Often referred to as a cryptocurrency, Bitcoin is the future of the currency. Bitcoins is the new world currency that is present in a digital form and has taken the world by storm. It is being debated that Bitcoins are useful for criminals only as common people can use these for limited transactions only. Through Bitcoins, you can pay for hotels on Expedia, purchase Dell hardware, Microsoft software and for PayPal accounts. As of now, Bitcoins are the best form of investment and making money. The value of Bitcoin has hiked over the past few months.The current valuation of 1 Bitcoin is $13,595. Last week the Bitcoin was worth $12,000 and has gone up by 113%. Bitcoin first appeared in 2009, during this time $27 could buy 5000 Bitcoins. If you had invested during this time you must have made a hefty profit. However, if you have made an investment recently you might have received good returns too. Over the past few months (even over the past week) the value of Bitcoin has increased, from $5,716 on 12 November 2017 to $16,502 on 7 December. As per the predictions of manager Mike Novogratz, bitcoins would take a hike in the end of 2019 and would reach a price of $20,000. Why It’s Not A Good Idea To Invest In Bitcoins? History has shown that whatever has gone up always comes down too. The biggest question mark that comes when investing in this currency is that the Bitcoins are extremely volatile and while its graph is going upwards, as per the financial experts it is very likely that it may take a huge plunge in the future. Bitcoins are being linked to the dot.com bubble in the 1990s after which Amazon’s shares fell massively, even the housing bubble of 2007 that created a recession on a global level. Another question mark when making an investment is that the Bitcoins are affiliated with criminal usage and therefore cannot be labeled as a safe investment. The only way of making it a “safe” investment is to mine Bitcoins but the cost of doing this is an expensive action unless you have the access to a big numbers of consumer machines that have been infected by a malware. Stealing Bitcoins is easy as all it requires is your wallet where you keep them and the ownership is transferred immediately. Another issue with Bitcoins is that they are anonymous which makes them suitable for money laundering, tax evasions and to avoid rules and regulations that govern the usual currencies. As mentioned earlier, 1 Bitcoin = 13,595. This valuation simply says that you will not be purchasing a single Bitcoin but a chunk of it and can spend whatever you wish on it. There are various ways in which you can buy Bitcoins from iPhone, iPad, PC or Mac. Firstly is by signing up for the service that will designate you a wallet through which you can trade Bitcoins and charge people in Bitcoin for services that you provide. Another way of getting hands on Bitcoins is by buying it from cash machines or you can mine Bitcoin. Mining Bitcoin is not like printing the usual money bills, it is prohibitively expensive as for this you would need a collection of super powerful computers and high electricity bill. These high costs are the reason why people’s computers are hijacked and then used to mine cryptocurrency. Assumingly you are not a criminal; you will not be needing advice on how to mine Bitcoins. This, along with the fact that by December 2017 there were already 16,726,863 Bitcoins available only 21 million Bitcoins can be mined. As discussed earlier, if you want to buy Bitcoins from iPhone a Bitcoin Wallet is needed. There are a variety of websites that offer wallets, apart from this you can use ones that come with apps from Blockchain, Coinbase or Mycellium. It is essential to ensure that your wallet is secure as some online wallets have had security breaches. This is the reason that a two-factor authentication is available. Additionally, it is recommended that you back up your wallet and encrypt it too. The simplest way of purchasing Bitcoin is to use kiosks available in various places of London. The purchase is a simple cash transaction where you deposit cash in the machine and get Bitcoins in return. You can sell your Bitcoins through these machines too. 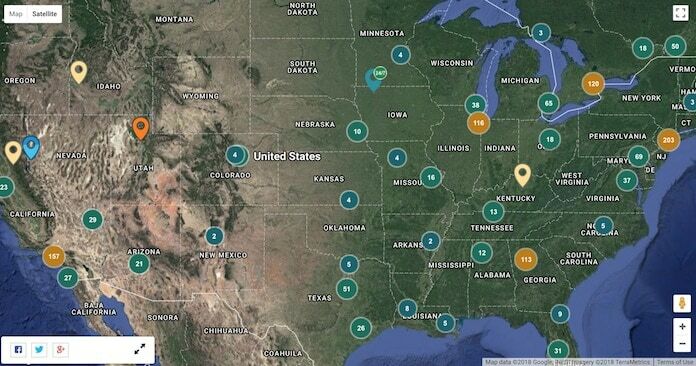 Find your closest Bitcoin ATM on this site. For a deposit you will need a Bitcoin address, you may also be asked to scan a fingerprint or provide a mobile number and then enter a code sent to you. However, take special care when making these transactions so as to avoid any security breaches. 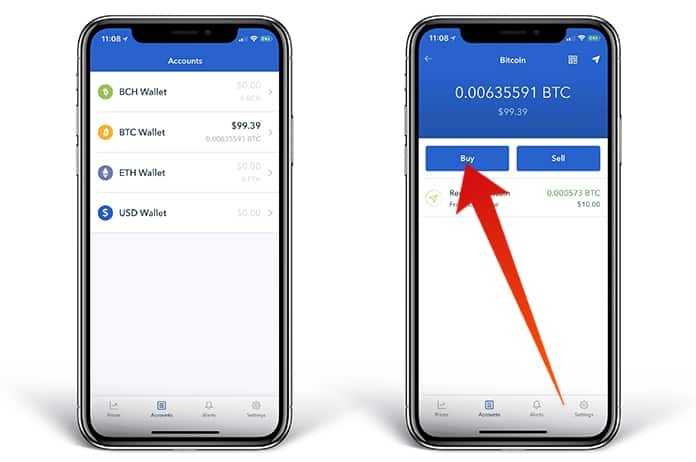 A popular Bitcoin app on the iOS App Store is the Coinbase and this is why we planned to do a review on it. It is important to note that there is a usual fee of 1.49% on buying and selling, while the fee on Debit/Credit is 3.99%. 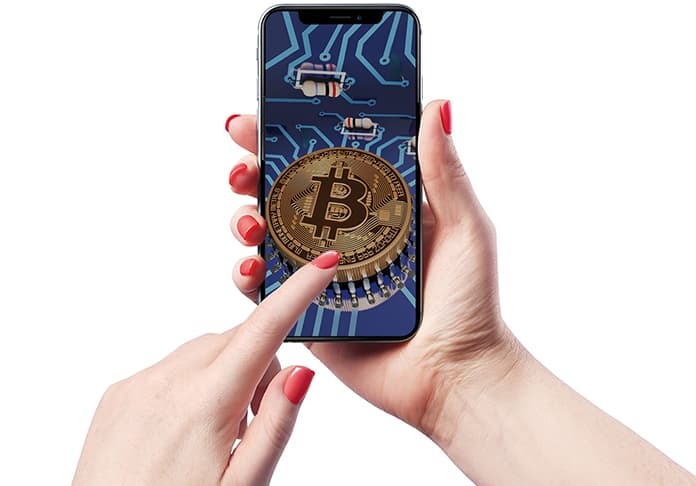 Mentioned below is a detailed guide to buy Bitcoin from iPhone. Step 1: Download the Coinbase app, open it and you will see a page that will be displaying the current price of Bitcoin along with the all-time high price of it. Step 2: Tap the sign up option to start. Step 3: Provide your details along with an email address and password. The password requires minimum 8 characters and make sure that you take care of the security using letters, numbers and other characters. Step 4: Verify your email address. Step 5: You would then be asked to accept the User Agreement, an important aspect to note here is that this app is a financial services provider that operates only in your country. Step 6: The next page is an important one as it will provide you with the details on the Bitcoin performance over the past day. You will also be provided with Ethereum and Litecoin, which are alternative forms of Cryptocurrency; this will help you gauge how volatile the currency is. Step 7: Complete the account setup by tapping the green button. Step 8: Next page will ask you to verify your phone number and add a payment method. Step 9: As per Coinbase, verifying phone number increases security. Your phone number will now be displayed, tap on it and press “Next.” After this, a verification code will be sent via text message. Next time you log on or log in via the web you will be asked for a two step verification based on the code sent on your mobile. Step 10: The next step is to add a payment method. On this page, you will be provided with various options depending on your level of investment. If you have more to invest you will be able to buy and sell. 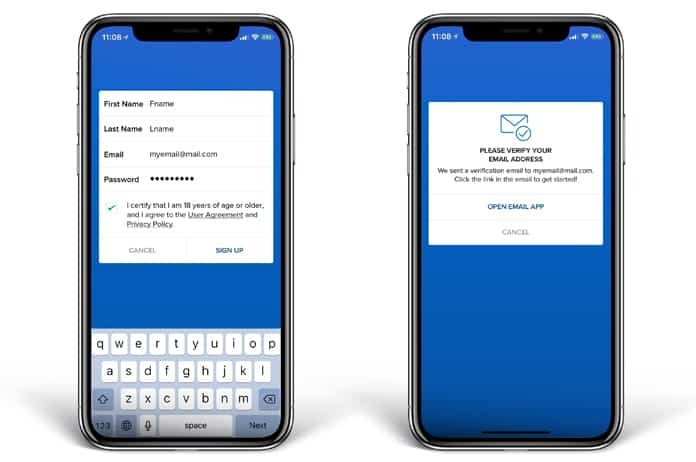 Please make sure that you provide your bank details so as to complete setup, however, it may take a couple of days for Coinbase to complete the process. Step 11: Being a beginner you wouldn’t be investing a lot. So if you want to purchase Bitcoins instantly, you can use your Debit or Credit card. Even though you will not be able to buy extra but will gain an instant access. Step 12: There is an option for/Debit card option, which lets you invest small amounts. Step 13: The next page would ask for additional information so as to add a card on Coinbase. Your identity will be verified before providing you with access to purchase. You can upload Identity Card, a Drivers License or a Passport. There is however an issue as Coinbase’s identity verification is still a tedious process and takes time. As of now, Coinbase ID verification is failing to complete due to high traffic. For the latest updates, click here. Step 14: Once in, you can now buy Bitcoin from your iPhone. 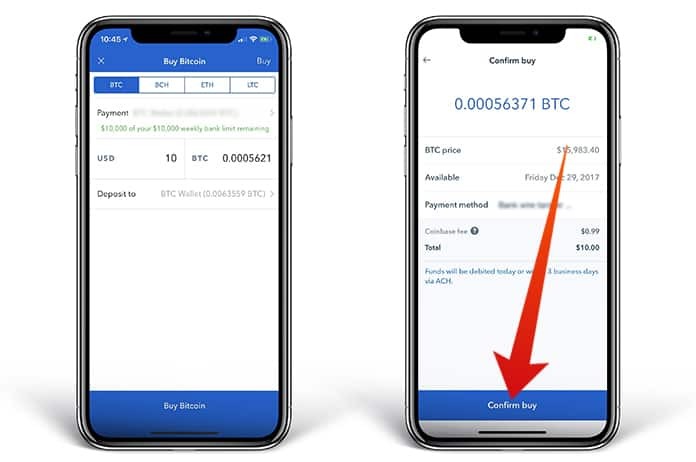 Your transactions will be completed through the wallet service that is provided by Coinbase. Step 15: The whole process of purchasing Bitcoin is becoming simpler; however the scale of this is limited to a few people. Nasdeq is ready to set a deal with Bitcoin future on its commodities trading platform in 2018. However, the CME Group has reduced the waiting time as CME Group and Chicago Board Options Exchange will begin trading Bitcoin futures any day now. This action symbolizes there interest in Bitcoin hiked after October. These platforms are focused on hedge funds and banks, or individuals with millions in net worth, rather than a number of the public with $40 to devote. All those looking for quick returns wouldn’t want to hold on to the Bitcoins for long. You would definitely be willing to sell your Bitcoin, however, as of now, it is not possible to sell digital currency if you have linked your account to a card. But if you set up an account with Coinbase and link it to your bank, only then would you be given an option to sell or cash out. 1. 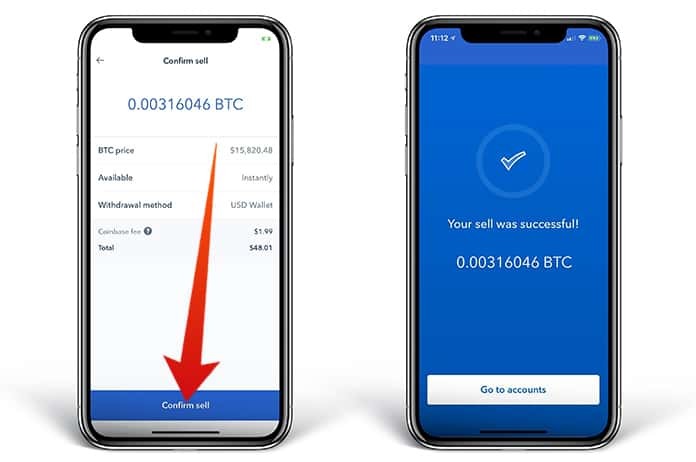 Using the Coinbase app helps you set alerts that tell you if the value of Bitcoin has moved up or down by the value that you have set. This can help you know a good time to sell. 2. 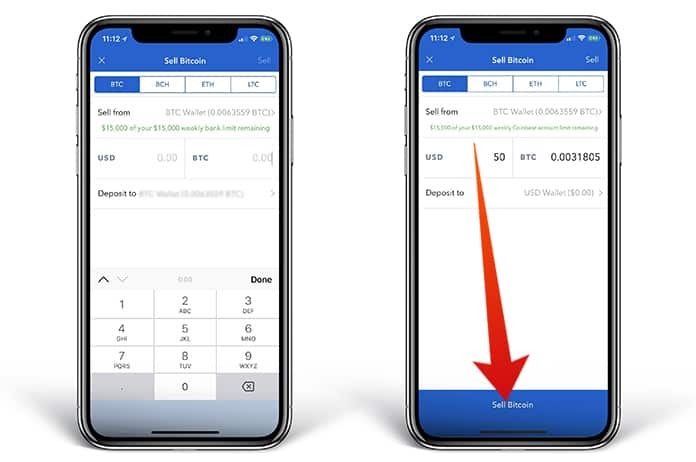 To sell tap on the menu icon in the Coinbase app. 4. Enter the amount in either Bitcoin or your local currency that you are willing to sell. 5. Select the wallet from which you want to sell. 6. Select the bank or wallet where you want the funds to go to. 7. Then tap the sell button. 8. You proceeds will then be deposited in your linked bank account or local currency wallet. We hope that you learned how to buy or sell Bitcoin from iPhone. If you have any questions, please ask us in the comments section below.